Sperm donors promised anonymity decades ago are being tracked down and contacted by their children. DNA tests and the internet have all but put an end to anonymity for sperm donors and secrecy for parents. When Laura McInnes was 16, her mother revealed that the father who had raised her was not her biological father. She had been conceived with an anonymous sperm donor. "It kind of made sense, but most of it was just absolute shock," said McInnes, now 30 and a mother of four. It took years to sink in, but when it did, "I realized I really didn't know half of who I was," she said. McInnes was determined to find her biological father, and eventually, she turned to DNA testing to help her in her search. Men and women who didn't know they were conceived with a sperm donor are unexpectedly turning up the family secret when they take DNA tests for fun, for genealogy research or other reasons. And donors who were promised anonymity decades ago are now being contacted by offspring who have tracked them down with the help of consumer DNA tests from companies such as 23andme and Ancestry and Facebook groups such as DNA Detectives. Results of home DNA tests can be compared among people to find relatives, who will have different amounts of matching DNA, measured in units called centimorgans, depending on their relationship. Siblings or parents will be a 50 per cent match, while half-siblings, aunts and uncles, grandparents and other close relatives will be a 25 per cent match. That's how McInnes, who lives in Prince George, B.C., found and contacted her paternal grandmother last June. The woman declined to provide more than basic medical information. "She was kind and respectful, but she also realized that her son had been promised to be anonymous many, many years ago," McInnes said. Undeterred, she did some more online sleuthing, and found the name and address of her biological father four months later. She sent him a registered letter and not long afterward, she received an email from him "which I stared at and cried for about 15 minutes before I opened." It's the type of scenario sperm donors and recipients now need to be aware of, say those who work in the fertility industry. "I think it's folly to be promising anonymity to any kind of donor," said Sherry Levitan, a Toronto lawyer specializing in assisted reproductive technology. The databases of DNA testing companies are growing by the day as more people get tested. And even if a donor never takes the test, if one of his relatives does, he can often be found. Levitan said decades ago, most heterosexual couples were told to keep their use of donor sperm secret. Many children conceived that way were never told. 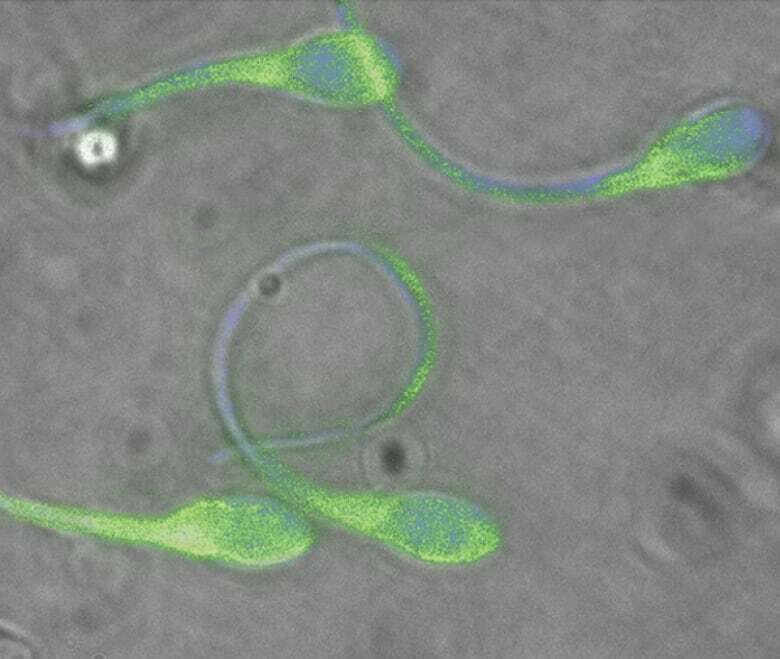 At that time, the sperm was chosen by doctors, and the parents got very little information. "There were no medical profiles, there was no genetic history, there was no information about whether the intended donor matched the father physically," she said. Today, Canadian law forbids paying someone for sperm. Parents choose from profiles that include more information about the donor. But their choices are still limited. There are a small number of clinics that accept sperm from Canadian donors for use at their own facilities. But there is just one sperm banking facility that recruits Canadian donors and provides their sperm to fertility clinics across the country. 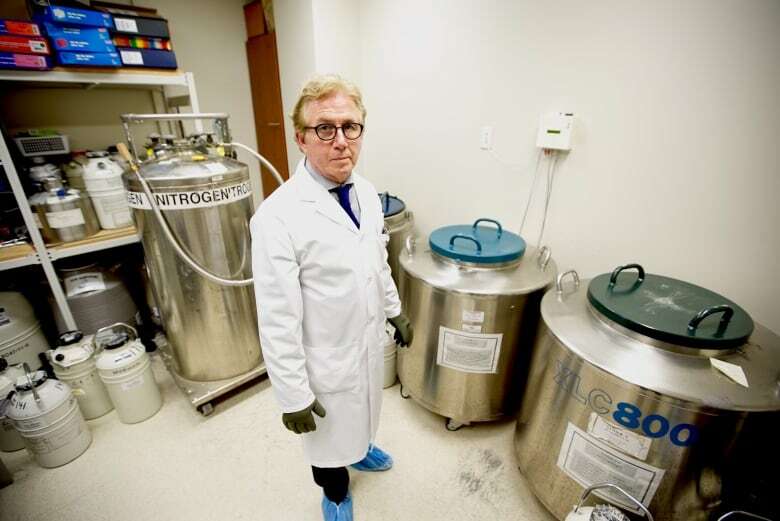 At Repromed in Toronto, frozen sperm from about 50 donors is stored in a small room. Dr. Alfonso Del Valle, Repromed's medical director, says about 75 per cent of Canadian donors now have agreed to let their donor offspring to learn their identity when they turn 18. But for the others, he said, "We do respect their wishes." He added that if those anonymous donors were excluded, Repromed would be left with a very small selection of Canadian donors. The three people conceived with donor sperm and quoted in this story don't believe anonymity should be allowed. "I don't think it is right to keep people away from their biological family, or at least not let them know," McInnes said. She's unhappy about being lied to. Now, she is gradually learning more about her biological history, and it means a lot to her to know where she got features like her nose and her chin. McInnes's biological father was originally worried about talking to her. "He had no idea this was going to happen," she said. "He made an agreement with my parents 30 years ago that he was going to be anonymous and he was worried that he was hurting them, that I was hurting them." It's a wider concern — two other donor-conceived people who shared their stories with CBC News said they could not publicly reveal their names because members of their family felt hurt by their search for their biological fathers or would be hurt if they found out they were donor-conceived. Since McInnes's biological father was reassured by her parents that it was OK for them to talk, the two have been gradually getting to know each other, although they haven't met. 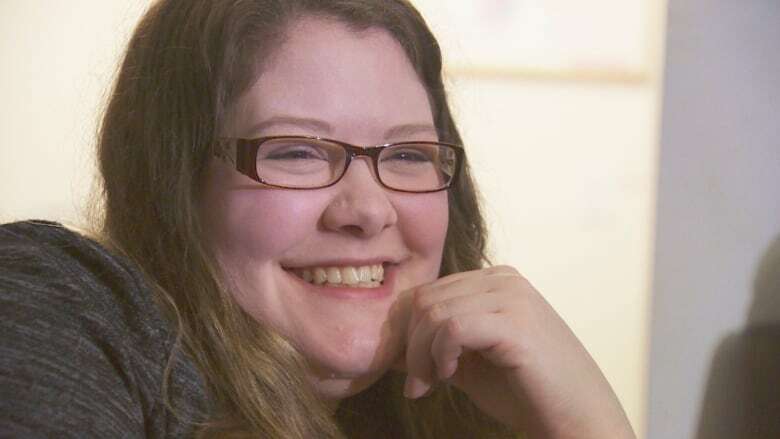 Erin Jackson, 37, is another Canadian conceived with donor sperm who has found and reached out to her biological father. She shares McInnes's view. "I think anyone that donates sperm should understand that they're making people," she said, "and that those people have a right to know where they come from." Jackson describes finding out she was donor-conceived as "the most significant thing that's happened to me in my entire life." Her mother shared the secret during a Skype call two years ago. Five minutes after the call ended, she purchased a DNA testing kit online. "As soon as I knew half of my medical history and heritage and ethnicity was a question mark, I wanted to know where I was from," said Jackson, a writer from the Toronto area who now lives in San Diego and the founder of the online support group We Are Donor Conceived. The test results revealed that she was one-quarter Ashkenazi Jewish. It also provided the names of some cousins and a half-brother, whom she immediately contacted and now has a good relationship with. With the help of the online group DNA Detectives, Jackson's husband James McClelland reconstructed the paternal side of her family tree — and revealed the name of her biological father. Jackson found his photo from a high school yearbook online. Then she found his address and wrote him a letter. She hasn't heard back, but hopes to. Del Valle at Repromed doesn't like the idea of the offspring of anonymous donors turning to DNA testing. He encourages them to contact the company instead. Some donors who had wanted to remain anonymous may now be willing to share their identities, he added. 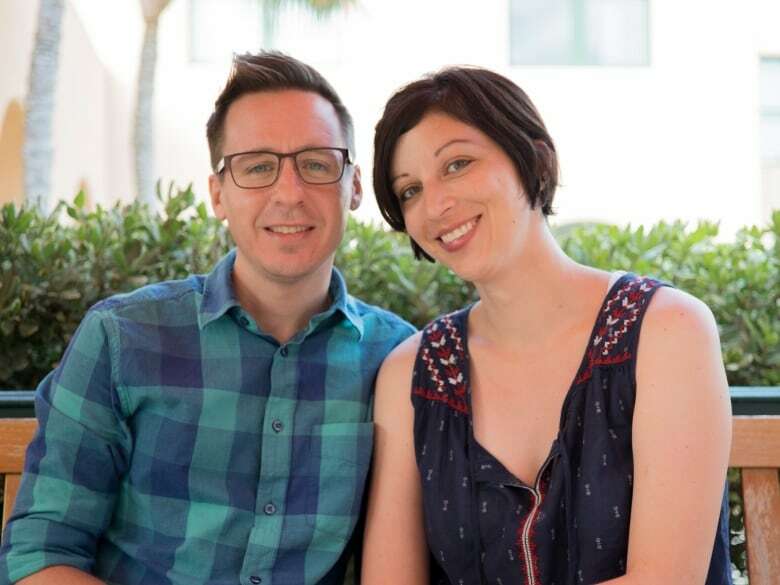 But Olivia Pratten, a longtime activist, most recently in online communities for people conceived with donor sperm, says she has never heard of anyone getting information about their donor sperm by going back to the clinic where they were conceived. Pratten tried for years to learn her biological father's identity, but was told the records were destroyed by her mother's fertility doctor. She sued the B.C. government in 2010 on behalf of other children of anonymous sperm donors to compel the province to give them access to their records when they turn 19 as it does for adopted children. But she lost the case at the B.C. Court of Appeal and the Supreme Court refused to hear it. Since then, other donor-conceived people have been lobbying for a government-regulated Canadian registry of sperm donors. Pratten, who now lives in London, England, won't say if she has tried DNA testing. 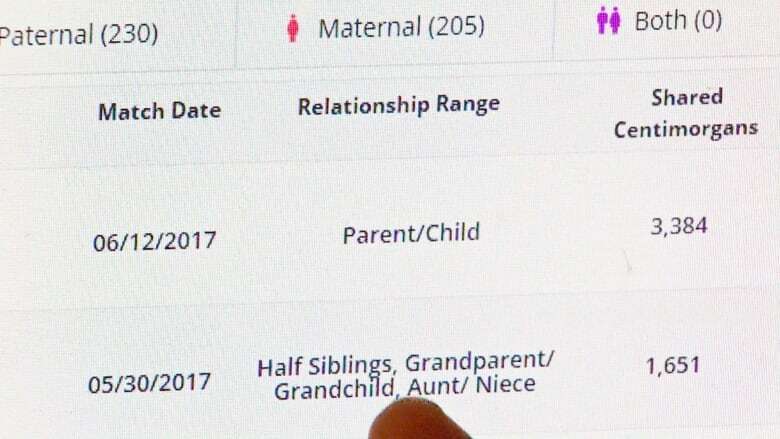 But she's pleased that there's now another way to get information: "Seeing how DNA tests have changed the game for people is really, really amazing." An earlier version of this story incorrectly stated that there is only one sperm banking facility in Canada. In fact, there is only one that recruits Canadian donors and provides their sperm to fertility clinics across the country. However, there are a small number that accept sperm from Canadian donors for use at their own clinic.